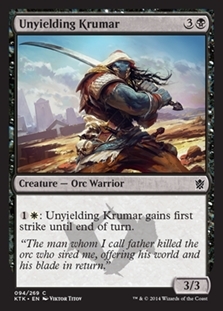 Icy Blast ($0.09) Price History from major stores - Khans of Tarkir - MTGPrice.com Values for Ebay, Amazon and hobby stores! Card Text: Tap X target creatures. Ferocious - If you control a creature with power 4 or greater, those creatures don't untap during their controllers' next untap steps. 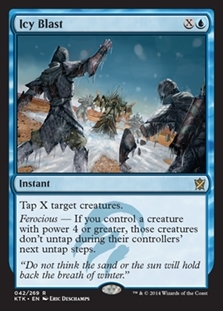 Flavor Text: "Do not think the sand or the sun will hold back the breath of winter."